We worked very closely with the Local Authorities and a local contractor on the project in West Sussex. 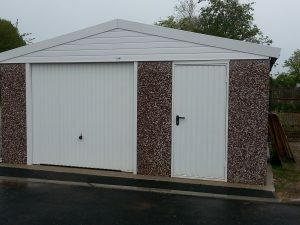 A local School near Chichester required a secure robust building for much needed storage but the building needed to also suit the surrounding area. 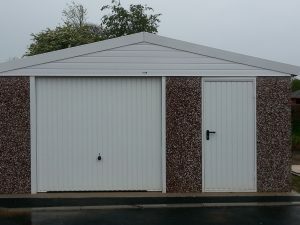 After much discussion the final design and specification was agreed and the chosen style from our deluxe range was further enhanced with a tile effect roof. The design using not only an up and over door to the front but also a personnel door gives the building the much needed versatility the School required.